In recent decades, more and more people have developed intolerance to food, allergies, cardiovascular diseases, the immune system or blood pressure, which has meant that for the first time in many years the life expectancy instead of going increase, be reduced, with younger generations who are paying the highest price. But this health crisis is not casual, it is the result of the industrialization of food that accelerated from the 50's in regions such as the United States and Europe, and later in countries like Mexico, where the boom of industrial food arrived from the 90's thanks to free trade agreements. In Mexico, the transnational dynamics caused the expulsion of peasant populations, who were forced to migrate to the north, where intensive agriculture had replaced the ancestral processes that focus on crop rotation and the diversity of plant species. The industrialization and the diseases that this brings, generated a market niche among people who for prevention or necessity, look for organic and chemical free foods. Commercial interests saw the possibility of generating a new market and turning health into a luxury. Under labels such as "organic", "healthy" or "artisanal", they began to offer high-cost but low-food products, if not outrightly harmful foods. Hierba Dulce was born as an answer to this problem. We see in the strengthening of local crops our best alternative, because that is where the practices of natural agriculture have been preserved and survive despite the onslaught against them. To offer a completely chemical-free meal, we make all our ingredients at home and maintain the traditional processes of cooking and fermentation, processes that take time and that are not profitable from the industrial perspective. We make bread, jams, mustards and pickles, all our creams, milk and vegetable cheeses. We start from the principle that organic and healthy food is a right, so we strive to offer premium food at affordable prices. We oppose being part of gentrification, so we offer an open space for everyone and we aspire to contribute to a new food model in which food is valued for what it is and not for what it costs. We trust that in this way, each person and as collectivities, we can make a change to stop sustaining a model in which the labels and the presentation of the food are valued more than the origin and history of the ingredients, of the populations that they cultivate them, as well as the people who prepare the food and those who keep the knowledge and recipes. We use only fresh and locally produced food, so our menu is constantly adjusted to the changes of the season. We do not freeze our food or use any type of industrial input. We offer personalized attention and we have a suitable letter for people suffering from diabetes, heart disease, who are gluten intolerant, or have allergies. But above all, we are an alternative for those who share the notion that food is our best medicine, that we are what we eat and that eating is a pleasure that must be cultivated with patience and responsibility. 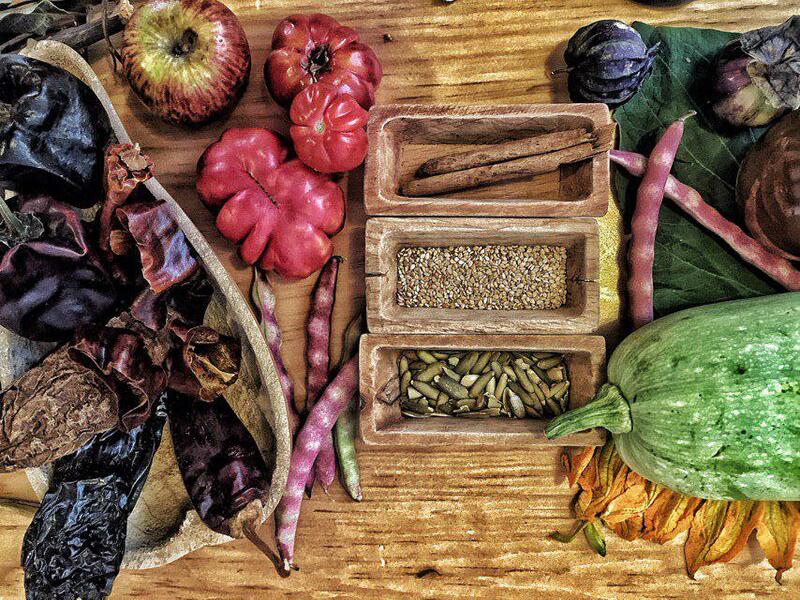 "A feminist Oaxaca restaurant that encourages conscious consumerism. 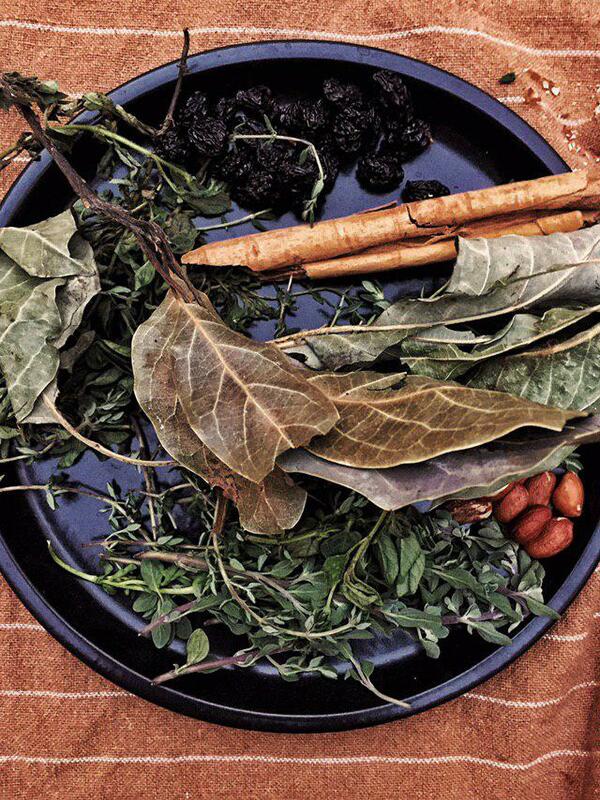 Hierba Dulce draws on traditional gastronomic knowledge and uses de-industrialized ingredients", By Megan Frye. MEXICO NEWS DAILY. 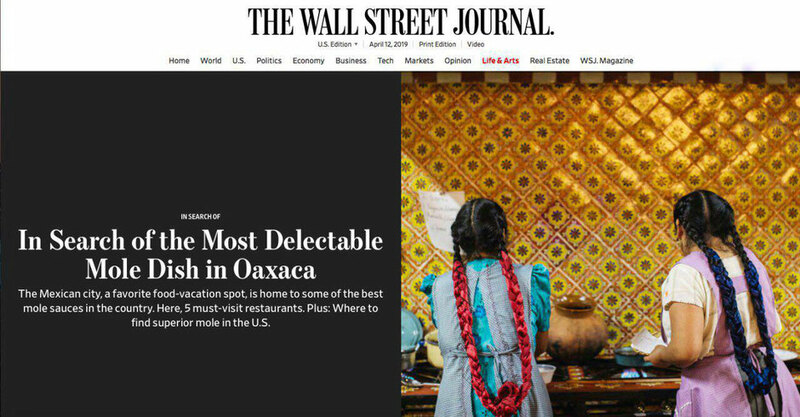 "In Search of the Most Delectable Mole Dish in Oaxaca". By Matthew Kronsberg. THE WALL STREET JOURNAL.